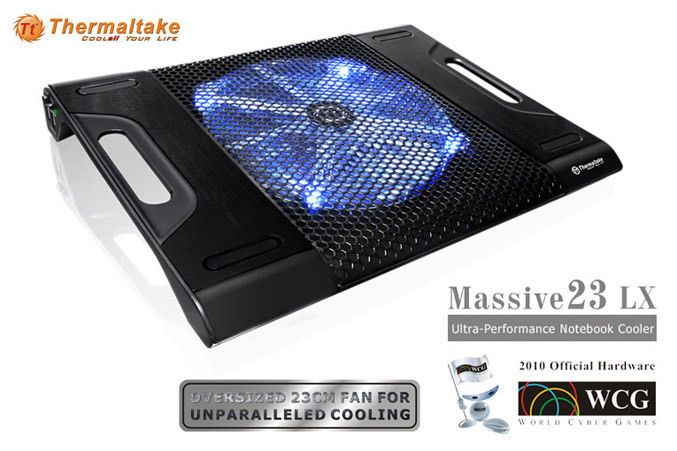 Thermaltake adds a new member to its popular Massive23 line of notebook coolers, called Massive23 LX. The cooler device is USB powered, has a black metal mesh design with two carry handles, supporting dual-USB ports and has an integrated cable shelter to store the bundled USB power cable when not in use. 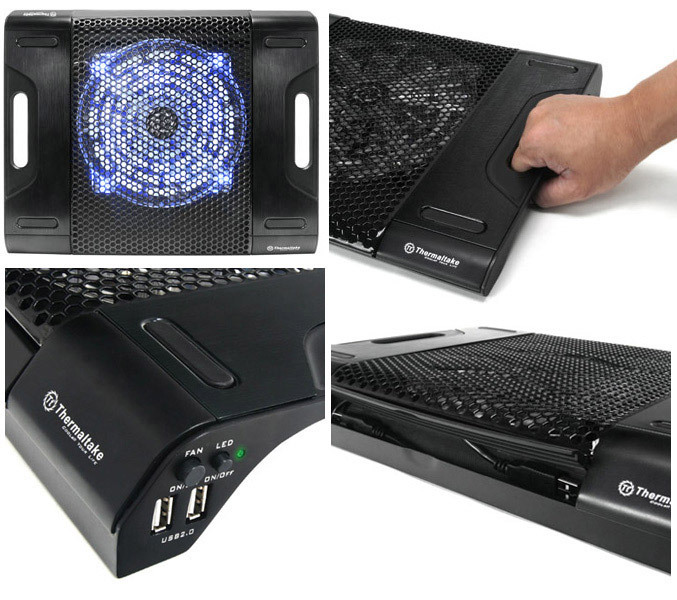 For better cooling , the Massive23 LX cooler has an oversized 23cm silent fan underneath the metal mesh of hexagonal-vents and offers aspecial anti-slip rubber strips on the surface, to guarantee better cohesion with your laptop.It also comes with separated fan on/off and LED light control switches. The Massive23 LX is available now for $ 19,99.